During the meeting on Thursday, the Councillors of Vilnius region self-government decided about reorganisation of Joachim Lelewel high School in Vilnius. Although the Council of the Capital City accepted the first reading of draft law on not completing classes 11-12 in J. Lelewel High School, the famous “Piątka” (“Fifth”) still have a chance to acquire so-called “extended gymnasium” status. This will be assessed in committees and in three weeks time, it will be discussed during councillors meeting when poll could be completely different. On Thursday, the Councillors of Vilnius discussed about transforming the legendary “Piątka” into Primary school and not completing 11-12 classes since the Septemter 1st. After September 1st 2015, expires the term of reorganising High schools into Secondary schools, Lower Secondary Schools and Primary Schools. 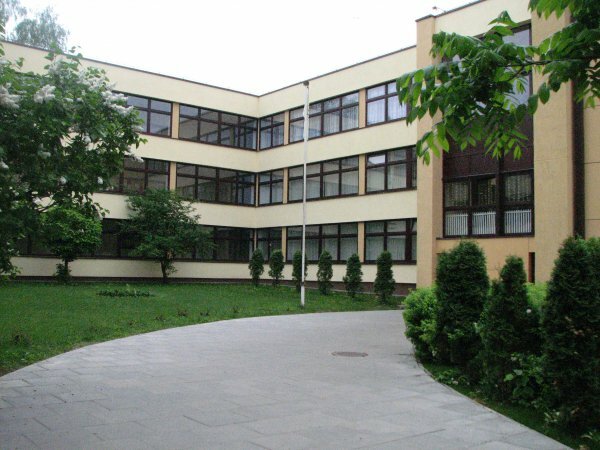 J. Lelewel High School applies for so-called “extended gymnasium” status and intends to undertake a curriculum based on specialist education in the faculty of engineering. The head of the Capital fraction of EAPL, Renata Cytacka informed that the Councillors did everything – they have gathered the signatures and explained to other Councillors why the classes 11-12 of Lelewel school cannot be terminated. During voting of first reading of EAPL, the Councillors of Union of Freedom and „Lietuvos sarašas” party have declared a support, Conservatists and Liberals voted no and Social-democrats decided to abstain ensuring about the support of keeping the school. “There is still a chance of saving 11-12 classes in Lelewel school, because on Tuesday it was only the first reading. Now the Councillors will thoroughly discuss this in committees and will make a right decision because Councillors instead of working on school liquidation, they should represent their residents. Currently, the final decision will be made by Ministry of Education and Science and they haven’t decided yet” – said Cytacka. She added that, if “Piątka” does everything to become a Secondary School with engineering profile, then Councillors should take account of their will and support it. During the meeting, Andrzej Jankiewicz spoke on behalf of society of school and ensured the Councillors that the school is ready for accreditation and he asked about permission to take further steps to accreditation. The Councillor of EAPL, Edyta Tamošiunaite emphasised that, the Vilnius School Daukšos (with Lithuanian language education system) also planned to undertake a curriculum based on specialist education in the faculty of engineering and the school was accredited. “We don’t want double standards to be used. Both schools should be accredited” – said the Councillor. The society of Lelewel school wrote an open letter to Mayor of Vilnius, Remigijus Šimašius and the Councillors to support the efforts of the school in the pursue of starting a primary, secondary and high curriculum with engineering faculty. “We hope that after another, objective activity assessment of the school the decision will be favourable for our children allowing them to continue their education in our school – we read in the letter. The authors of the letter emphasises that. according to legislations, during the restructuring of school network, reorganisation plan will be prepared and discussed publicly with school societies. The community of Lelewel school didn’t have such opportunity before. “Because not all requirements were met to provide students interests, the school society will appeal to the law institution” – we read in the letter. Tłumaczenie by Adam Adamowicz	w ramach praktyk w Europejskiej Fundacji Praw Człowieka, www.efhr.eu. Translated by Adam Adamowicz	within the framework of a traineeship programme of the European Foundation of Human Rights, www.efhr.eu. First stage of accreditation has started in Lelewel school?